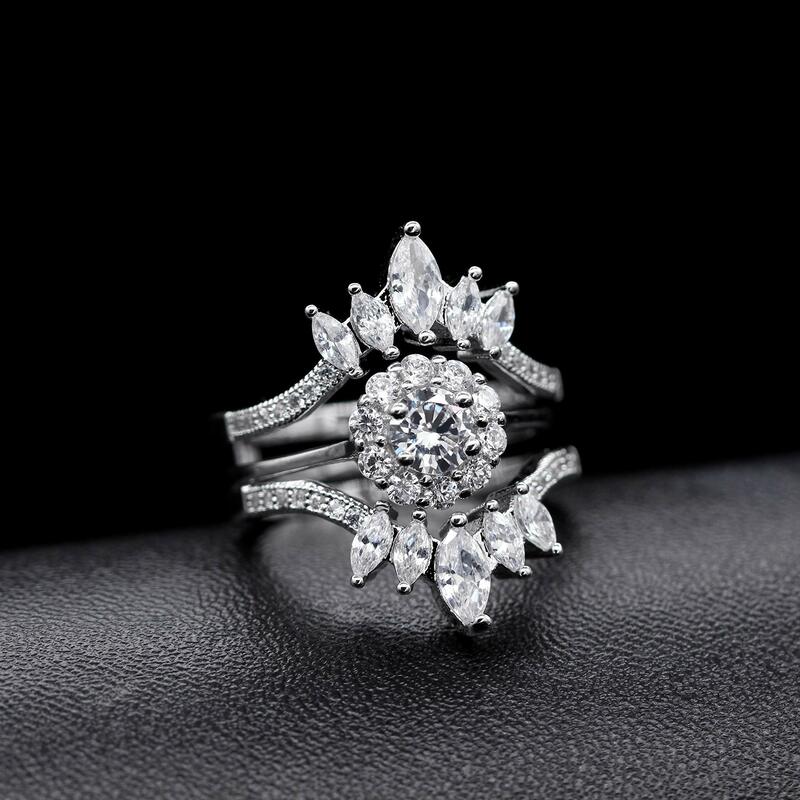 ♥ This wide ring enhancer can be adjustable which is suitable for wedding ring,engagement ring,promise ring, party ring in any shapes such as square,heart,round,triangle,rectangle,oval. You can match them as you like. 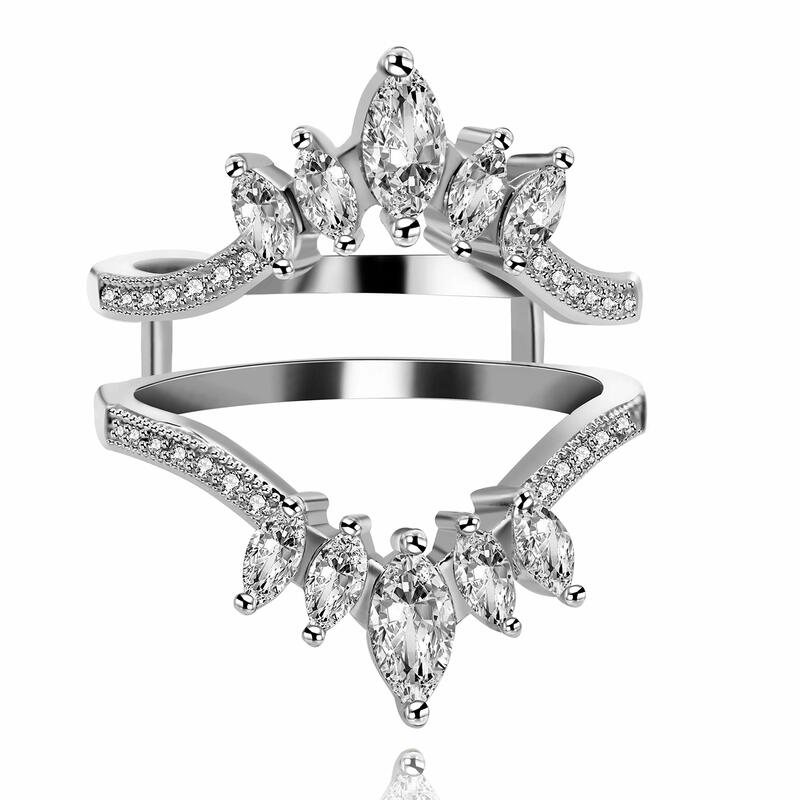 ♥ Eco-friendly Material: This bridal ring guard enhancer is made of eco-friendly brass with 18K white gold plating and AAA cubic zirconia, Lead-Free, Nickel-Free, Chromium-Free. Fine Craft: The ring set is made with 3 layers plating thickness with 0.05 micron that keeps the color of metal surface longer. Fine inside and outside polishing makes the ring set brighter and smoother. 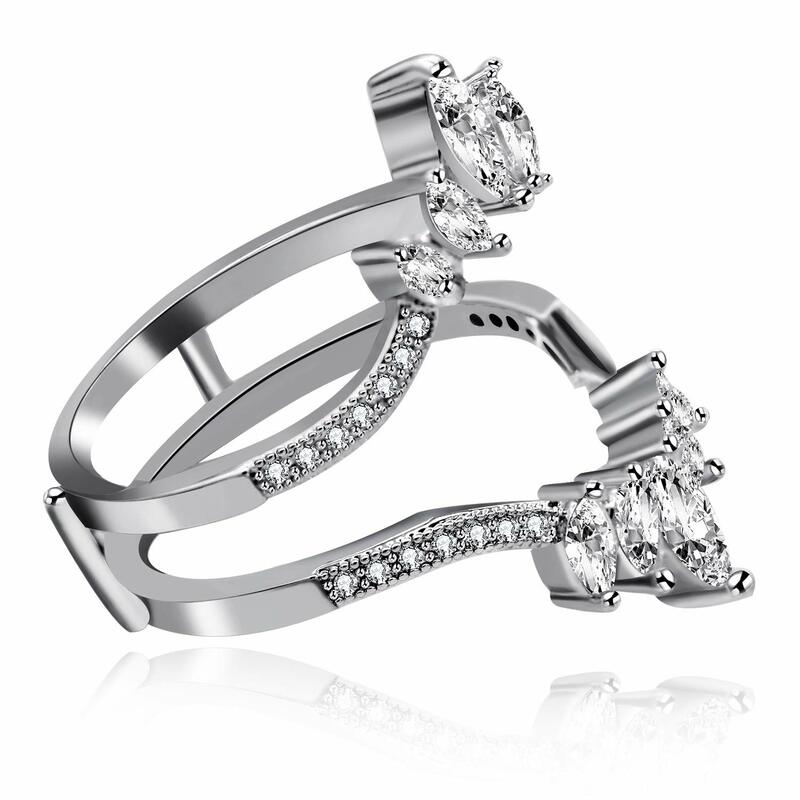 Prong setting makes each cz in place and prevent stones from falling out. ♥ Packing by nice black velvet pouch and this parcel comes with another cute gift bracelet. They will be the best gift for her and yourself. 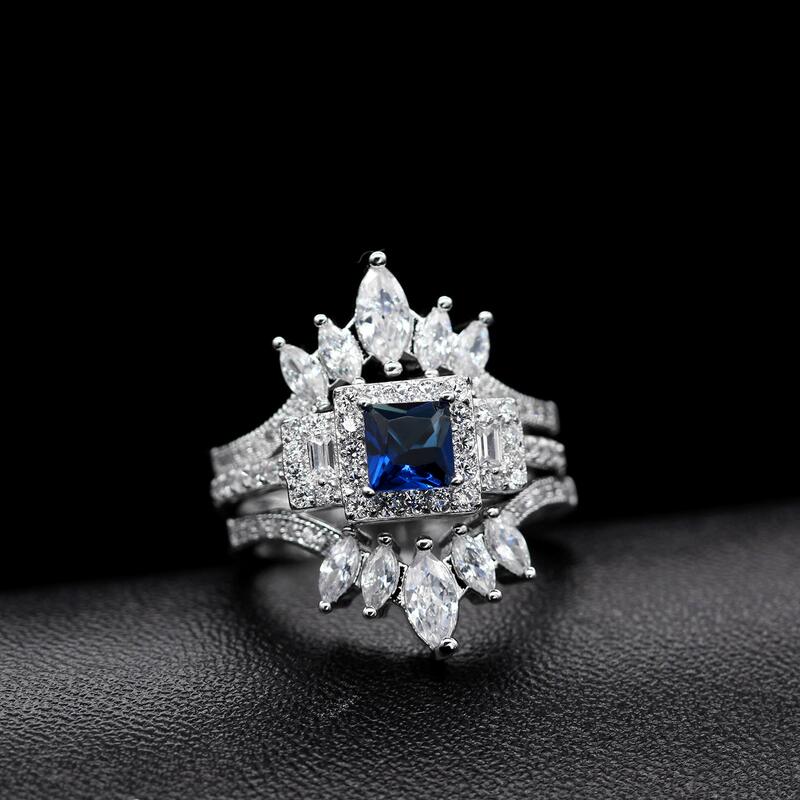 You are looking at gorgeous ring enhancer suitable for christmas/new year/anniversary/party/prom etc.This ring featured with double band with 10 pcs marquise cut AAA CZ. And finished with white gold plating for maximum shine and protection. Gift Bag will be included. 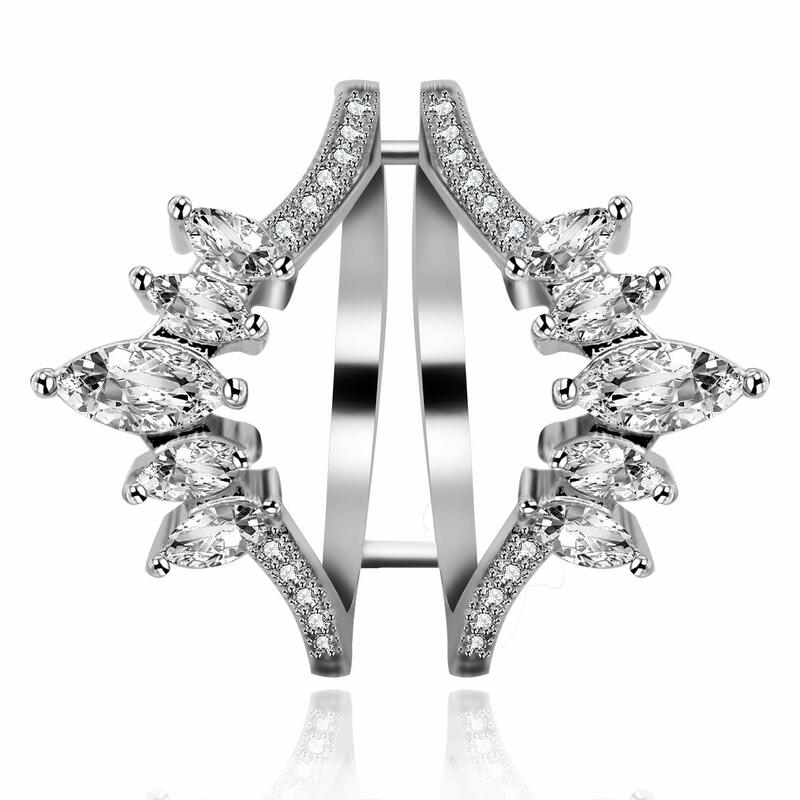 1.Main Stone: 10 pcs marquise cut AAA CZ. 2.Metal material: white gold plated brass. 3.Packing by nice Gift Bag and another gift bracelet will be given to you too. They are going to be the best gift for her and yourself. 4.Return policy: fully refund if there is any quality problem or if you don’t seem to be happy with it. 5.Intended use: anniversary, birthday, party, christmas,wedding, engagement, valentines-day, ,etc. When you’ve got any problems with our items or products and services, please feel free to contact us first before you leave feedback. We will be able to do our best to solve any problems and provide you with the best customer products and services. 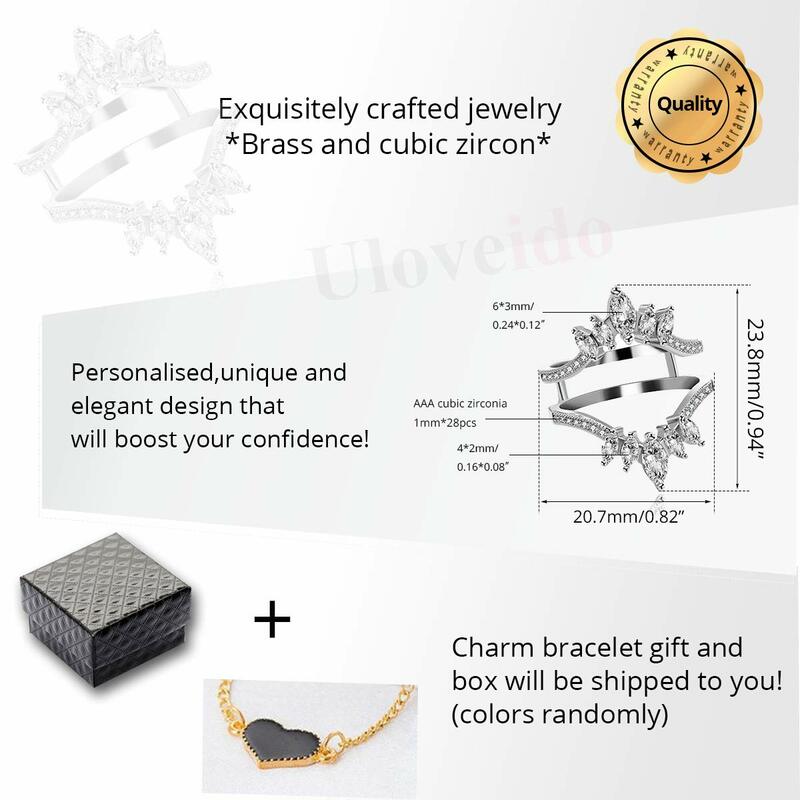 Uloveido is registered Trademark by ULOVEIDO BRAND Jewellery COMPANY,Since 2013,We often keep our eyes on international Fashion Jewellery,focus on the most recent trends about Jewellery designs and Styles, Our product quality is as good as those very expensive ones from Jewellery Exclusive Shops or any other retail stores, mostly even better; Fairly than other reseller use low-quality metal, so it’s going to get dark soon! 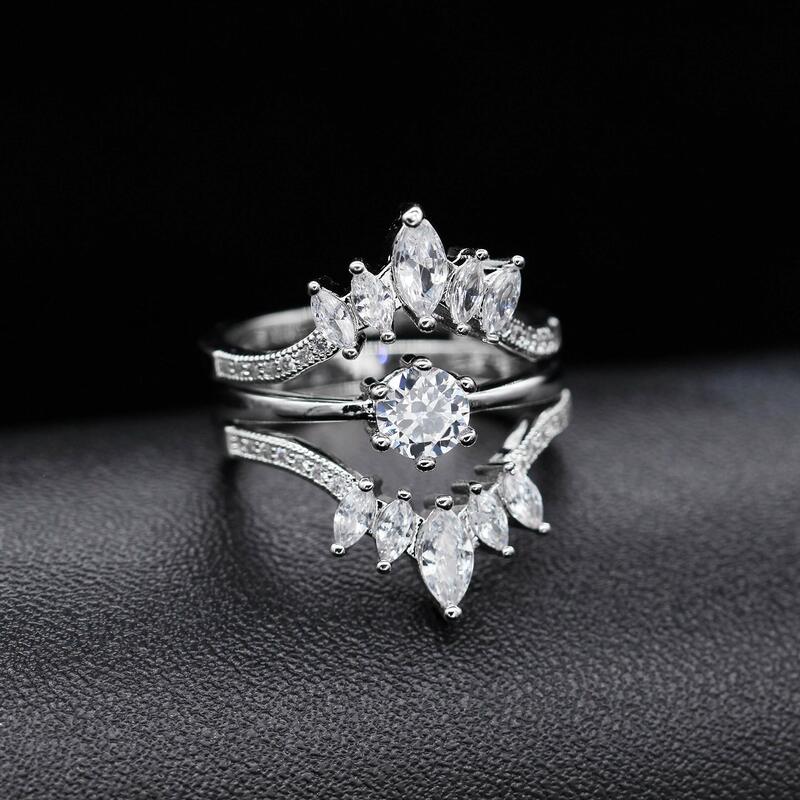 ♥ This wide ring enhancer can be adjustable which is suitable for wedding ring,engagement ring,promise ring, party ring in any shapes such as square,heart,round,triangle,rectangle,oval. You’ll be able to match them as you like. ♥ Packing by nice black velvet pouch and this parcel comes with another cute gift bracelet. They are going to be the best gift for her and yourself. ♥ Return Policy: Fully refund if there is any quality problem or if you don’t seem to be happy with it. ♥ Great Gifts Ideas: This ring is vintage, fashion, elegant, the best choice for Christmas Gift, Halloween Gift, Thanksgiving Day Gift, Valentine’s Day Gift, Mother’s Day Gift, Birthday Gift, Wedding, Engagement, Anniversary Gift, Black Friday. It is strongly recommended to women, ladies and girls.